Strategic project Facility Point approved under condition! On 11 May 2016, the ADRION Monitoring Committee approved under condition the Strategic Project Facility Point – Supporting the governance of EUSAIR. The strategic project aims at enhancing the institutional capacity of key stakeholders and public administrations are involved in the governance of EUSAIR, as well as assisting the progress of implementation of its Action Plan. The Strategic Project shall be implemented by 9 outstanding partners coming from the Partner States involved in the macroregional strategy and in the ADRION programme and have an overall budget of 11,5 million EUR with a EU co-funding (ERDF and IPA II funds) of 85%. It will last until end of December 2022. 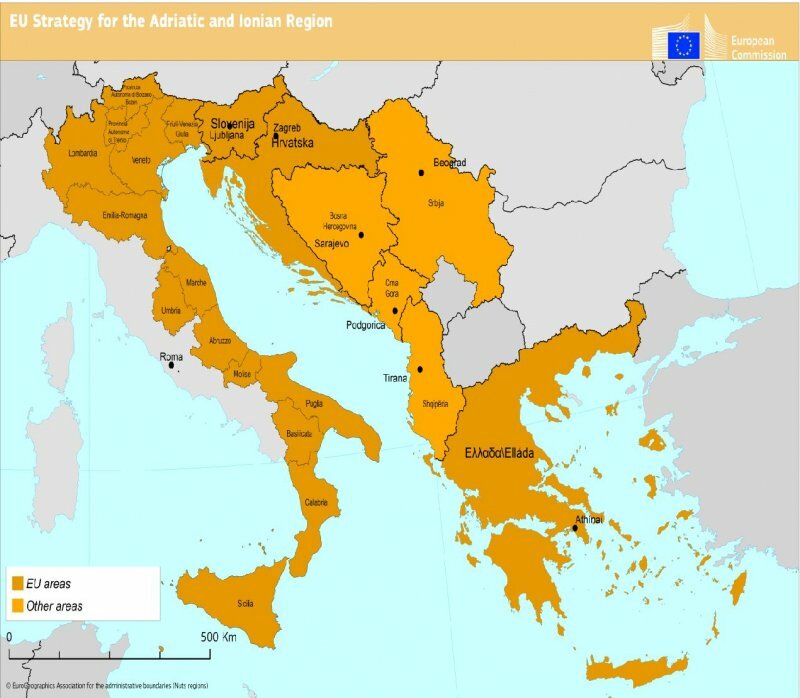 The approval of the Strategic Project has been officially announced on occasion of the 1st Forum of the EUSAIR jointly organised by the European Commission and the Government of Croatia and held in Dubrovnik on 12 and 13 May 2016.
http://www.adrioninterreg.eu/wp-content/uploads/2017/06/EC_Adriatic-and-Ionian-Region.jpg 698 800 Adrion /wp-content/uploads/2017/03/logo-adrion-new.png Adrion2016-05-18 15:21:072017-06-19 10:17:18Strategic project Facility Point approved under condition!